We accept most medicare plans, when it is your primary insurance. Most of our patients have a supplemental plan as their secondary insurance. We accept almost all Preferred Provider Organization (PPO) plans. With a PPO plan, you can usually see us for an examination without a referral from your primary care physician (PCP). However, since there are so many different insurance plans, you will still need to check your membership book, or call your insurance company to make sure that we are on their provider panel. Insurance can be very confusing, so if you still have questions, please feel free to call us (562-597-3100) and we will do our best to help you. We accept one optical-based insurance plan called Medical Eye Services (MES). Again, we must confirm that you have proper authorization before we schedule your appointment. Most City of Long Beach Employees (L.B.Police Department, L.B.Fire Department, L.B. Unified School District) have MES insurance. If you have a different optical plan like Vision Service Plan (VSP), we can still very likely help you out with your glasses and/or contact lenses. 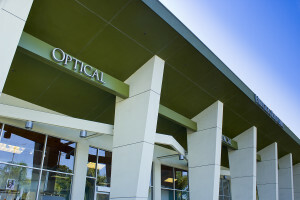 Many optical plans have an ‘out of network provider’ policy that allows you to go to the optical shop of your choice. If this is the case, then you would pay out-of-pocket at the time of purchase, and then we would help you submit the insurance billing. Your insurance would reimburse you a certain percent depending on your policy. Unfortunately, we do not accept any Health Management Organization (HMO) plans. However, many HMO patients choose to see us on a cash basis to improve their access to quality care. Please note that Lars Hertzog, M.D. and F.A.A. Examiner, no longer practices in our office.